I did an order of Cedar Creek Cases early in 2017 based on the recommendation from a customer that had been previously impressed with the work they did on a previous custom classical guitar case. Located in the Blue Ridge Mountains of Virginia, Cedar Creek Case is essentially a TLK custom shop, although there might very well be some aspects of their product that are unique. After I made an order of three cases I began to read some of the other reviews online, some of which were a bit discouraging. 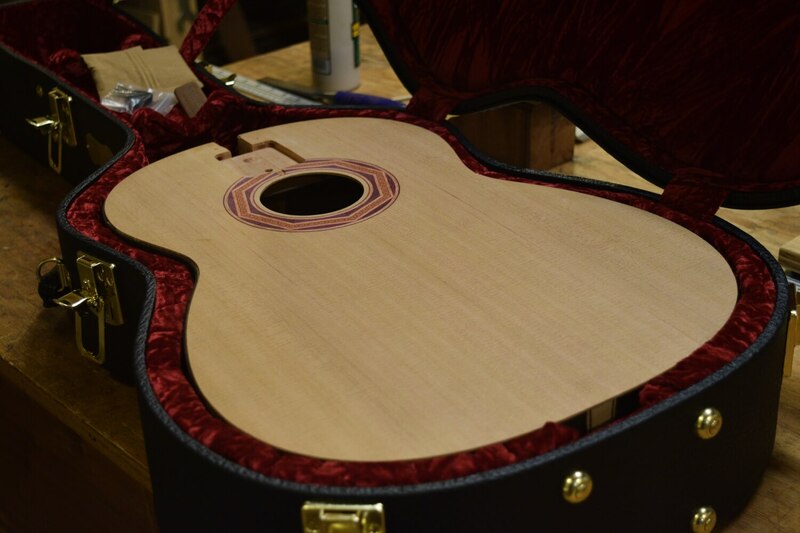 One claimed that the interior lining of the case was degrading his guitar's shellac finish. If you search Cedar Creek Case Review on Google, then the first item on page one includes a big "BEWARE". This customer obviously had a bad experience, though if you continue on down the thread of comments you will find many people own a custom case from this shop of which they have been very happy for many years. My experience was decent in general. The fit of the cases I ordered was decent, but not ideal. It definitely could have a more snug fit, some of which is due to the measurements I gave them and a bit is due to problems in their process. The customer service was decent, but not ideal. I gave them a credit card number to keep on file and the card was charged without first contacting me. That's not the best way to do business. I also experienced some damage to my French Polish finish, but the guitar was new and it was shipped from Tennessee to Los Angeles. The guitar was touched up and has remained in that case henceforth without further damage, so my advice is to ensure that a newly French Polished guitar is allowed to cure for a couple of weeks before it spends any length of time in a guitar case. Overall I am very pleased with the quality of the case. 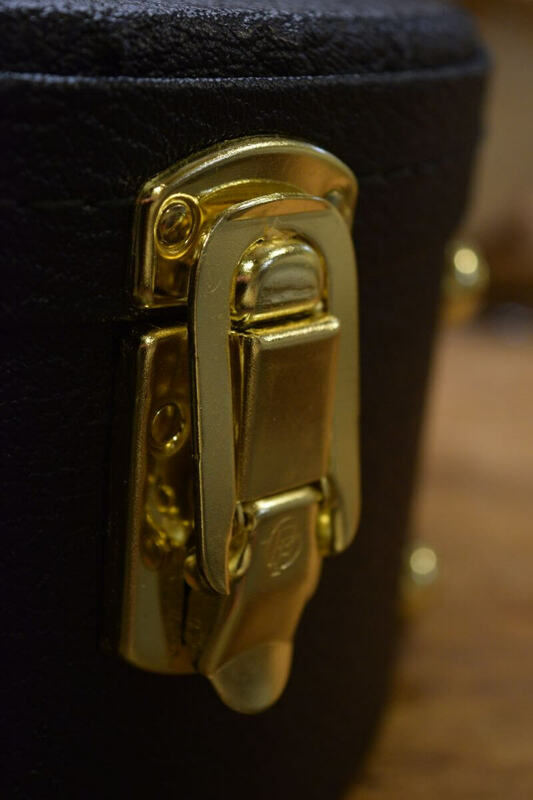 The handle is very cushy and the latches are extremely well fit and strong. The latches are definitely preferable to those on a BAM case. I recently purchased my first BAM case and although the weight and hardness of the case are selling points, there are only three latches, all of which have a one step method of buckling the lid on or off and it is dangerously easy to unintentionally pop one open. You won't have any lack of confidence in the hardware of your Cedar Creek Case. As long as you close the latches they will do their job very well. The only real complaint I have would be the weight of the case. The case is really too heavy for a professional musician or student guitarist to lug around to gigs or a college campus for any length of time. But it definitely provides good protection if you are simply leaving the guitar in the home most of the time and only traveling with it occaissionally. My opinion is that Cedar Creek Case Co. needs to overdeliver in order to compete in their industry. There are many great handmade case manufacturers in the world today and competing in that market means making sure people feel like they are getting the best product and service for their money. They do decent work, yes, but in my experience and from reading other reviews, it seems that there is something at work within the company that is leading to an inconsistent delivery of the ideal product and service. My customers come to me because they trust I will make them arguably the finest handmade classical guitar available, and they normally expect the same quality from a custom case.